As a volunteer for the American Diabetes Association®, you will join hundreds of thousands of volunteers helping to expand community outreach and impact, inspire healthy living, intensify our advocacy efforts and raise critical dollars to fund our mission. You will make a difference in the lives of all those impacted by diabetes. You have a passion for the mission of the American Diabetes Association—to prevent and cure diabetes and to improve the lives of all people affected by diabetes. You have a close connection to diabetes and want to help. You want to meet new people and help those affected by diabetes. You want to leverage your skills in a meaningful way. You want to be part of your community, supporting a worthy cause. Support your local American Diabetes Association Camp and experience one of the most magical moments in the lives of children living with diabetes or at risk for diabetes. From the halls of Congress to your statehouse and courts, make your voice heard! Be an advocate. Help raise urgently needed funds to support programs in your community and help find a cure. Provide administrative support and more at your local American Diabetes Association office. 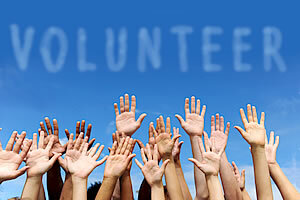 Be a virtual volunteer for social media or our online community. Step Out Walk to Stop Diabetes® is the Association's signature fundraising and awareness event. Walk to find a cure! Participate in Tour de Cure®, a series of cycling events across the country. Ride to create a life free of diabetes and all its burdens. Get involved with outreach activities, including professional and patient education events like American Diabetes Month®. Help increase the awareness of diabetes and its complications and offer resources at community events like health fairs. We have lots of ways for you to get involved and support our mission. We'll find something that fits your interests, passions, skills and schedule. Contact Your Local Office to learn what is happening in your community and find out how you can get involved.